in the Department of the South. In accordance, as I believe, with the will of our Heavenly Father, and by direction of your great and good friend, whose name you are all familiar with, Abraham Lincoln, President of the United States, and Commander-in-Chief of the Army and Navy, on the 1st day of January, 1863, you will be declared "for ever free." When in the course of human events there comes a day which is destined to be an everlasting beacon-light, marking a joyful era in the progress of a nation and the hopes of a people, it seems to be fitting the occasion that it should not pass unnoticed by those whose hopes it comes to brighten and to bless. Such a day to you is January 1, 1863. 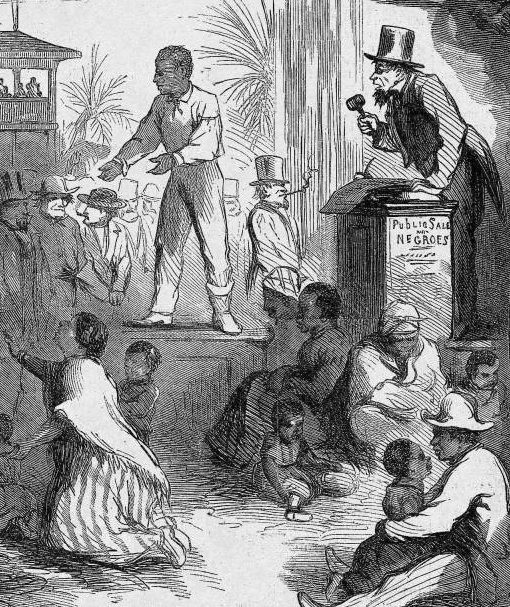 I therefore call upon all the colored people in this Department to assemble on that day at the Headquarters of the 1st Regiment of South Carolina Volunteers, there to hear the President's Proclamation read, and to indulge in such other manifestations of joy as may be called forth by the occasion. It is your duty to carry this good news to your brethren who are still in slavery. Let all your voices, like merry bells, join loud and clear in the grand chorus of liberty — "We are free," "We are free," — until, listening, you shall hear its echoes coming back from every cabin in the land — "We are free," "We are free." Brig. Gen. and Military Governor. The New York Times reported that three thousand men, women and children turned out to let those merry bells ring, to shout those sainted words. Will it ring still? Can you hear the merry bells still? Strain your heart and listen. Happy New Year, 1863. Happy New Year, 1963. Happy New Year, 2013. It's going to be a bumpy ride. In the eyes of William Lloyd Garrison, Abraham Lincoln stood waffling on the issue of slavery in the early days of December 1862. To be quite fair, in Garrison's eyes nearly anyone aside from William Lloyd Garrison stood waffling on the issue of slavery most of the time. 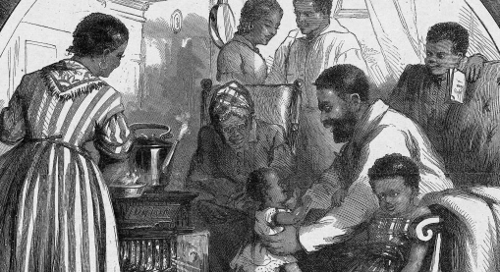 The future of the Emancipation Proclamation still was not yet written in the final few days of 1862. In the White House, Lincoln was polishing and weighing his words. But outside the walls of the Executive Mansion, there was doubt and uncertainty. Would he? Countless ministers in the north penned petitions urging him to follow through on his threat of September. But were the petitions enough? For one man on the Peninsula, it wouldn't matter. 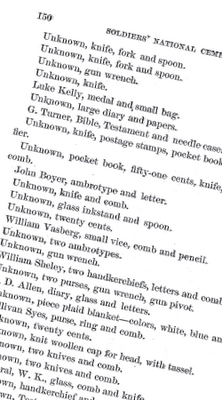 His name was Tom, Garrison's Liberator reported in a snippet reprinted from The New York Tribune. Tom's conversation with a Tribune reporter named Samuel Wilkeson was both intriguing and incisive. Wilkeson was traipsing about the area around Norfolk and Fortress Monroe, speaking as he went, "with many intelligent men of color," on the question of emancipation and freedom. While Sam Wilkeson was fighting a war with a pen, paper and the telegrapher's key, his son Bayard was fighting with field artillery and hot iron. As the ink dried on the Tribune and Liberator that December, Sam was serving as First Lieutenant in the 4th Light Artillery, Battery G., lobbing shells across the Rappahannock River at the rebel hordes. Eventually, Bayard would fight at Gettysburg to disastrous results. Each Wilkeson fought the battle against the Slaveholder's Rebellion in his own peculiar way. 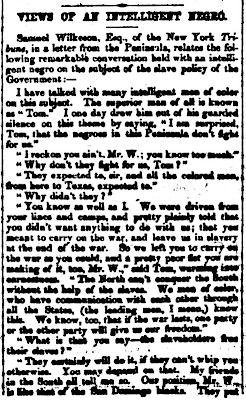 While America sat tensely awaiting Lincoln's pen, Sam Wilkeson spoke with a black man, a former slave named Tom. Wilkeson asked a simple question. 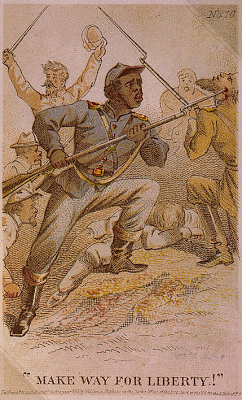 Why didn't the black men of the South fight for the United States? "They expected to, sir," Tom told Sam, but they, "were driven from your lines and camps, and pretty plainly told that you didn't want anything to do with us; that you meant to carry on the war, and leave us in slavery at the end of the war." Still Tom, from his perch on one of the lowest rungs of society, could see the plain truth: "The North can't conquer the South without the help of the slaves.... We know, too, that if the war lasts, one party or the other party will give us our freedom." Whichever side offered the slaves their freedom would win their loyalty. "We mean to sell ourselves for freedom," Tom exclaimed, "we hope to you Northern men." in blue or possibly gray. Tom could see more. "How long would this war last, if we were freed by act of Congress and the President's Proclamation," the wizened slave explained, "the rebel armies would melt away in a week." But if the war were to be won, then it needed to be won in whole. If the United States was to be won, Tom explained, "you can't save it without the social revolution," without destroying slavery. Sam's account ended with a keen warning from the former slave. "You white men of the North will go into slavery," Wilkeson reported, "unless you take us black men of the South out of slavery; and Mr. W., you have not a great deal of time left in which to decide what you will do!" Did Tom really exist? It's tough to say. He very well might have been a clever literary device derived by an anti-slavery reporter trying to capture the stakes in the waning moments before Lincoln would or wouldn't make his move. Sam Wilkeson's opinion was clear regardless. The words of Tom, whether he existed or not, should be heeded. 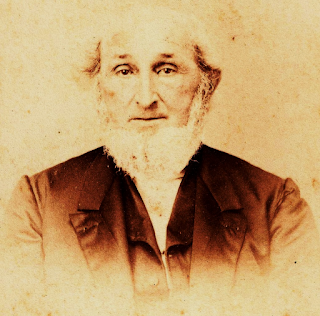 For Sam Wilkeson, abolitionist reporter, emancipation must come. And through the blood of thousands of black and white soldiers, including Sam's son Bayard, emancipation would come. In a house along the first block of the north side of Chambersburg Street, a small metallic ticking noise signaled change. The calendar read December 24th, 1862. The rhythmic tapping was a voice, reaching out in code along thin strips of metal dangling from poles running to the east out of town. 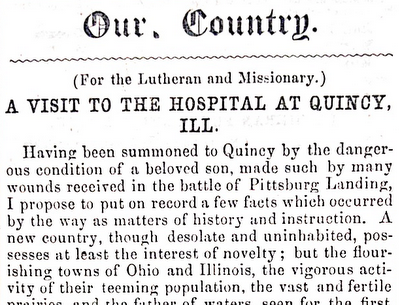 Soon, "Hanover, York, Harrisburg, and Baltimore," were sending their glad tidings to Gettysburg's citizens. Then soon, Gettysburg found herself on that Christmas Eve connected, "with all the world and the rest of mankind," the Adams Sentinel reported. In the home of John Scott along Chambersburg Street, the telegraph had come to Gettysburg. Lightning could now send words to the far-flung corners of the nation from the Adams County seat. Outside the doors of the home, Gettysburg was busy, but not extraordinarily so. The youth of the town were gathering supplies for the next day's reveries. As dawn broke, "'Young America' was on hand in the morning," the Gettysburg Compiler reported, "with firecrackers, &c., but we do not think that the usual investment was made in that sort of thing." The surrounding countryside saw its fair share of muted but still joyous noise. As Christmas Day crept into night, the flames of a fire flickered through the darkness south of town. "We were informed," the Compiler reported, that the fire was, "the burning of several stacks of hay and fodder at Dr. Shorb's." The culprit for the blaze? 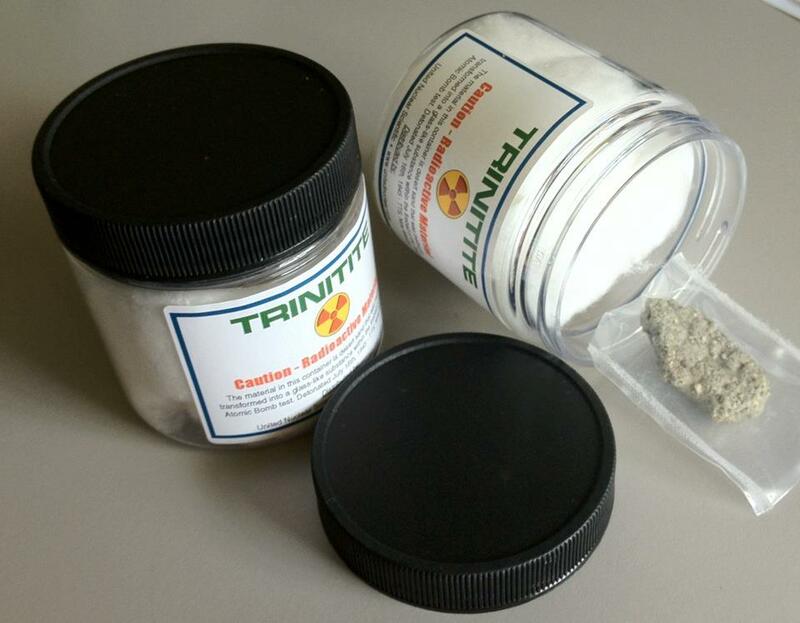 "The fire is supposed to have been caused by fire-crackers." Other Gettysburgians found themselves in far less familiar surroundings that Christmas. 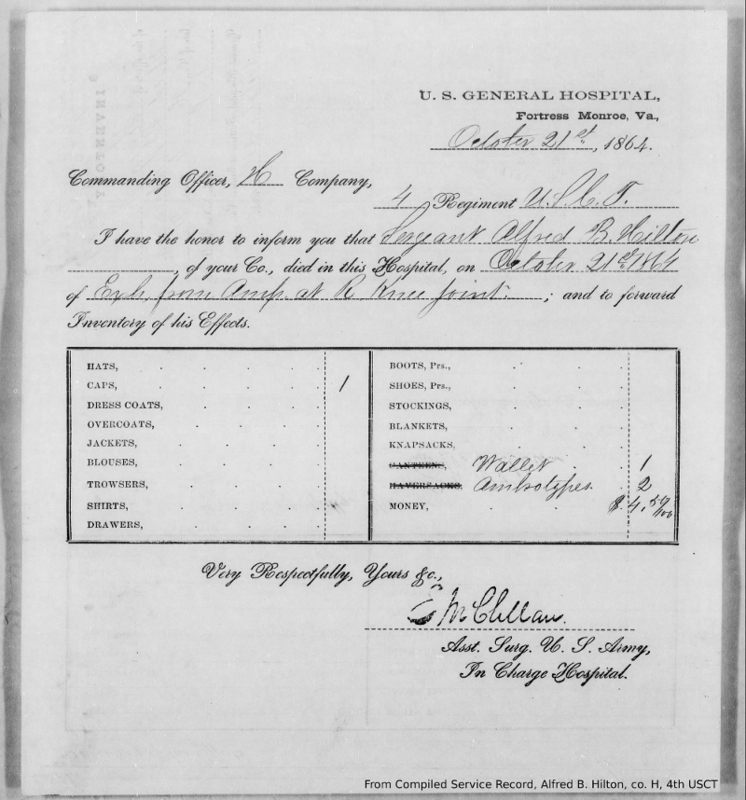 A member of the 165th Pennsylvania Infantry reported home that his surroundings were bleak that yuletide. 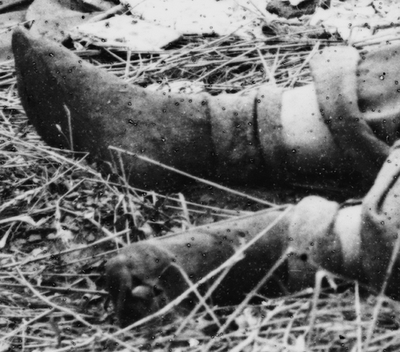 Writing from Virginia, the soldier found, the country from Norfolk to Suffolk shows the ravages of war. Everything is laid waste." The soldier, chatting with an officer, learned that near his camp had stood seven barns in the span of just a few hundred yards. "And what is left? Nothing! Yes, nothing - all destroyed, and the fertile fields laid waste." Still, in a desolate landscape like Southern Virginia, the soldiers from Adams County were undeterred in their Christmas plans. "My mess concluded to have a grand Christmas dinner," the corespondent penned, "so, with that intention I went to town." Visions of a grand dinner swam before the soldier. "A turkey, or a young fat goose?" he dreamed. But when he arrived at the market, "there were but three turkies, and they were poor, and as for a goose, there was none at all." Christmas dinner that year in a camp in Suffolk, Virginia consisted of, "three pounds of pork, three pounds of corn flour, a quart of molasses, and a package of pepper." Still, the stalwart reader of the Democratic Compiler reported, there was little benefit in complaining. No one, he wrote, groused, "as hard as the Abolitionists." Through his politically slanted eyes, the Abolitionist soldiers, "groan at an awful rate for home." The Summer shall be good and dry. Kings and princes shall die by skill." 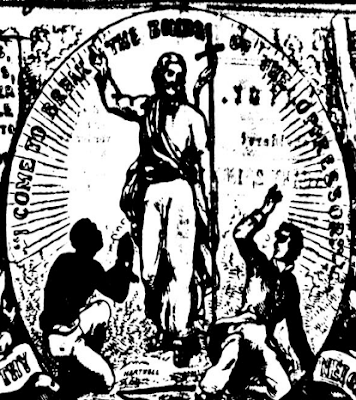 Detail from Thomas Nast's 2-page spread in Harper's Weekly lauding Emancipation. A couple of weeks ago, I spent a weekend in Harpers Ferry helping to interpret that amazing place for the National Historical Park's annual Christmas 1864 event. One of the greatest joys of my desk job in interpretive training is getting back out into a parkscape to test out new ideas and practices. This time it gave me the chance to experiment out in the field, wearing the olde-timey clothes of the 1860s and discussing how hammers, anvils and black labor won the war through the U.S. Quartermasters Depot at Harpers Ferry. The event is amazingly fun and infinitely powerful in its most intricate moments. The weekend also gave me the opportunity to once again take on the annual Saturday evening lantern-light tour. Typically, that event focuses on the town's contributions to Sheridan's operations in the field in the last winter of the war. these images haunt your nightmares? But this year felt like it needed to be different. Even though the event was focused on 148 years ago, my mind kept slipping back just two years further. As I planned out the program, I couldn't help but keep coming back to the idea of 1862. On the whole, very little has been focused nationally on the sesquicentennial of the first national crack in the wall of American apartheid, a crack whose size would wax and wane over the course of the next century and a half. It felt like a duty to the slaves who waited anxious in 1862 to tell their story this Christmas. Mel Day, stalwart coordinator of the living history volunteer program in the park and the woman who taught me much of what I know about how interpretation functions, asked me what I wanted the evening tour titled. "Should I just put it down as, 'Captain Flagg's U.S. Quarter Master City: Approach of Peace 1864,' same as the event?" she asked me over the phone. "No!" my mouth answered gruffly before I could temper it. I reeled for a minute. What to name it, I thought quickly, what to name it? "Emerging from the Darkness: Christmas in a Land at War," I heard my mouth say. "Did you just think that up now?" Mel asked. I answered that I had. "I don't understand how your mind works like that sometimes," Mel said. Sometimes I don't either, I thought. I started 'reading' the audiobook of Penn Jillette's new book Everyday is an Atheist Holiday on the way in to work that week as well. His first chapter is all about Joy to the World and celebrating the mundane days (and not simply waiting for future redemption) as a way to make life really matter. 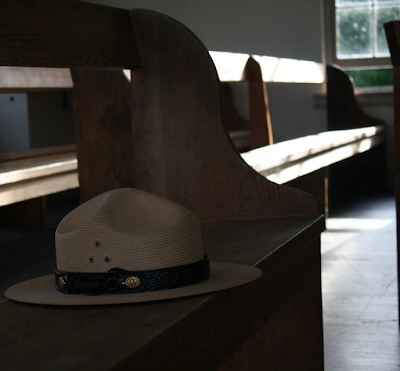 Penn's words melded with 1862, and inspired this Park Ranger. My mind was racing. Suddenly, it all fit together. We come into this place from the darkness, the cold of winter. 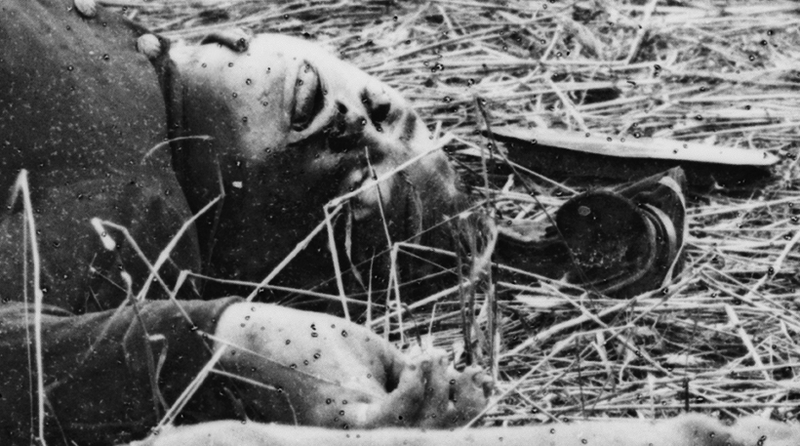 The Civil War was a period of intense darkness for America, a time when men killed men and when America tried to tear itself apart over the question of freedom. But this time of year is also considered sacred, and has been by cultures around the globe for centuries. Dozens of cultures, across the centuries, have had a festival in the dark, cold months of the winter. In the 1860s, in America, one of those festivals was Christmas. 150 years ago right now, America was preparing for another Christmas in a land at war, with sons in fields far flung from home. The period before Christmas, the four weeks before, are called Advent, which comes from the latin adventus which means arrival or approach, or simply coming. Christians in 1862 were preparing for Christmas in this time of advent. And one of the ways that Christians prepare for the coming holiday is through songs and carols. Joy to the World is one of those songs. The lyrics were first written in the 18th century by Isaac Watts. The music wasn't added until the the 1830s. Like so many great American songs, we stole that tune. It was cribbed in 1839 from Handel's Messiah by preacher Lowell Mason. three words I could ever think of. But Watts' lyrics, Mason's song, isn't about joy in the world right now. It is truly a song of advent, looking forward to a second coming of Christ and joy still coming. "No more let sins and sorrows reign, and thorns infest the ground," is an incantation for a future, not a present. 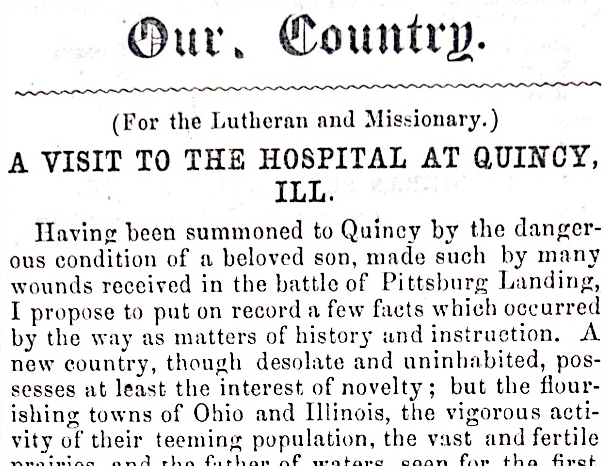 In December of 1862, there was another advent going on, another expected coming. This advent wasn't waiting for a savior to descend but for a simple document. Months before, in September, Abraham Lincoln had penned the Preliminary Emancipation Proclamation, promising that, "on the first day of January, in the year of our Lord one thousand eight hundred and sixty-three, all persons held as slaves within any State... in rebellion against the United States, shall be then, thenceforward, and forever free." And America began a long advent, a time of intense waiting. For some in the South, it was waiting with dread at the potential collapse of their social structure, dread of revolt by a population living in their midst that in places outnumbered whites 3-to-1. 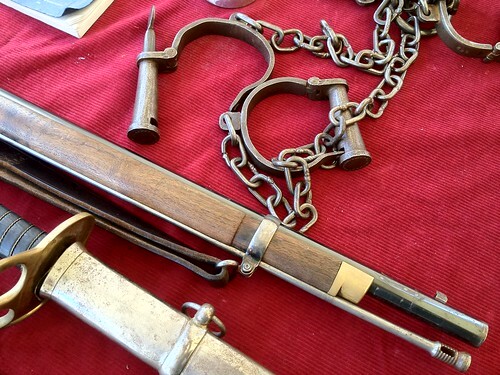 For some in the North, it was waiting with baited breath, incredulous at the thought that, after a long, dark night of injustice, heartache and imprisonment, that slavery could begin ending with the stroke of a pen, if only Lincoln kept his promise. It was advent. It was a time of waiting for this world of, "sin and sorrow," to pass away and a new, different, uncertain and frightening world of freedom to take its place. And in that time of advent, there were songs too. Songs of hope and of freedom yet to come. Gonna to praise God 'til I die. And to help me if He please. Since He gave me liberty. Gonna to praise God 'til I die." Freedom was coming, and America sat waiting in that long, cold advent of 1862 on pins and needles. And that song echoed backwards and forwards through that long, dark winter. Would freedom come? Would this advent end? So now we step out into the darkness, to find the roots of that freedom. We step out to find the joy of its coming, the sorrow of its coming, the fear at its coming. We step out into the darkness to find uncertainty. Welcome to the long dark advent of the Civil War. And as we venture into the darkness, we can take that song of hope with us. I was reading Kevin's latest post over at Civil War Memory and found myself strongly agreeing and wanting to respond. So I began writing this post. And this post used to be longer. Much longer. Scads longer. But I'm cutting it out of abundance of caution. Criticism of interpretive product is something that people too often take too personally for some reason. I've never understood that. I likely never will. This is a world of ideas; a free marketplace is the best marketplace. Let the opinions rain down. If you have different ideas, I want you on my team. I don't reject you. There is not one program given on any Civil War battle landscape that cannot, somewhere in it's natural flow and using resource-specific elements and tangibles, discuss the cause and context of the war in a meaningful and thematically-integrated way. Period. Full Stop. Furthermore and because of this, there is no reason or excuse not to cover the cause and context of the war in a meaningful, thematically-integrated and site-specific way in every personal services program in some manner or fashion. Period. Full Stop. If an historian ever chose a hill to die on, that's a worthy one. Maybe someday I'll post the whole thing. Republican stalwart newspaper The Adams Sentinel ran nothing in its folds hinting at the editor's elation over the Emancipation Proclamation in the days following the document's release. In a terse column, headed, "Proclamation of the President," ran the document, unadorned with either accolades or contempt. Elsewhere in the paper's folds, the news hovered back and forth over the fields around Sharpsburg and word of the lackadaisical pursuit of Lee's army into Virginia. The deep meaning of one of Lincoln's most momentous moments seemed to be lost on the Republicans of south-central Pennsylvania, as they eschewed the topic, pussyfooted around it and went out of their way to nearly ignore the document which sat in Washington City with its ink still drying. The Democracy, on the other hand, was happy to make hay while the sun shone. "President Lincoln has issued a Proclamation setting free all the slaves in the States in rebellion on the first of January next," the Compiler susinctly noted to its readers. "We believe this movement," editor Henry J. Stahle continued, "to be highly inopportune, and will, we are confident, be questioned by all men not utterly Abolitionized." The folds of the paper then paraded forth extract after extract from Democratic newspapers chastising Lincoln's actions, comparing him, the New York World adeptly chided, to, "Blondin in the art of political balancing." In article after article, for the next few weeks, the Compiler excoriated the Lincoln administration and its supporters for the bold action of Emancipation. 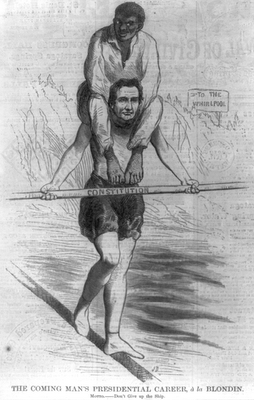 Running under the headline, "FREEING THE NEGROES," Stahle printed the Proclamation in its entirety. The Republicans must have felt the soft underbelly of election politics that the Emancipation Proclamation had left exposed. Across the white North, the majority of whose citizens made no pretense toward equality of the races, voters were headed to the polls that fall. Some, particularly Pennsylvanians, would cast their ballots less than a month after the document hit the street. Among those wishing to return to office was Gettysburgian and Pennsylvania College graduate Edward McPherson, trying to hold tight to his seat representing the 16th District in the U.S. House of Representatives. The Emancipation Proclamation became the perfect cudgel with which to beat McPherson. "VOTERS, REMEMBER!" the Compiler trumpeted, "that Edward McPherson voted with the Abolitionists for the abolition of slavery in the District of Columbia!" The paper swung again. "REMEMBER - that Edward McPherson voted with the Abolitionists for the Confiscation Bill, in pursuance of which President Lincoln has declared his purpose to liberate the negroes of the South!" Again and again the blows came down. The Sentinel timidly replied with small jabs, claiming that the only souls who could support the Democratic tickets were, "every voter who loves Slavery more than he does the Union - who loves party more than his country." The Sentinel did adeptly predict that, "the victories in Maryland, the emancipation proclamation, and the one which threatens traitors in the North with punishment when obstreperous, have worked [a] wondrous change. The future is darker and bloodier to the rebels than the past and present." Democrats crowed over their victory in 1862. "Abolitionism Rebuked!" the Compiler boasted. Edward McPherson lost the election in a landslide victory for the Democracy. Early returns showed McPherson losing by over 450 votes in his home county alone. 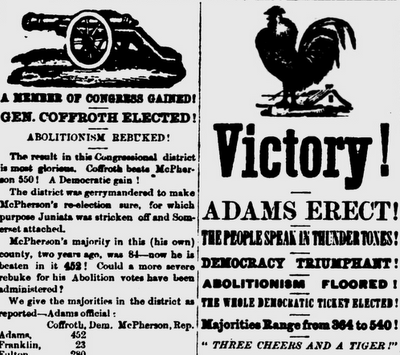 "We assume," The Sentinel lamented, that even, "the Army vote of the District will not overcome Mr. Coffroth's majority on the Home vote, and therefore concede the defeat of Mr. McPherson for Congress." For local Republicans, the root of the loss was quite clear. McPherson, "was pursued with steady and calculating malignity. His opinions were misrepresented, his record perverted, his motives misconstrued, his purest acts maligned, and everything said and done, which an artful foe could concoct to his injury." But McPherson's record was not twisted all that much. His stand for the freedom of four million in bonds in the South were relatively consistent and unwavering. The Emancipation Proclamation had simply awoken an angry and racist sentiment within the American Democracy, prompting the Compiler at the bottom of one column to urge locals to, "VOTE THE WHITE MAN'S TICKET!" Lincoln sold Edward McPherson's seat in the United States House of Representatives in a calculated gamble. Lincoln sold that seat and many like it with the simple stroke of a pen in September of 1862. In exchange, Lincoln took a step down the road toward freedom and equality. 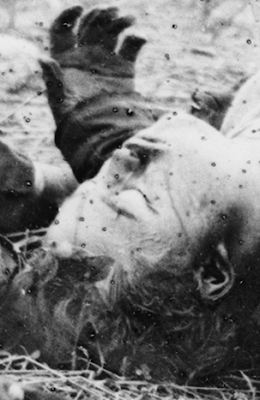 McPherson's seat was collateral damage in a war for freedom. Like Lyndon Johnson did while sweeping his pen across a sheet of paper in the East Room of the White House in 1964 then glibly noting to his comrades that his party had, "lost the south for a generation," Lincoln was willing to take a political drubbing precisely for doing the right thing rather than the popular. Lincoln was willing to alienate pockets of the white North, to lose precious seats in the House or Senate and perhaps even cement himself as a devil of epic proportions in the eyes of American racist ideology precisely because it was the virtuous path and the path that fulfilled the true promise of the nation. And afterall, Lincoln had, "made a solemn vow before God that if General Lee was driven back from Maryland I would crown the result by the declaration for freedom to the slaves." Emancipation was right, not popular. And Lincoln was brave precisely because of that fact, not in spite of it. So celebrate the Emancipation Proclamation, don't simply commemorate it. It truly is a political gamble worth shouting for. Mumma Meetinghouse, 150 years after it sat there on the eve of the battle. 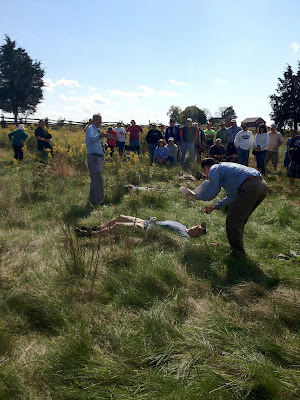 I spent four days this past weekend wallowing in the depths of hell. Around me swirled the maelstrom of battle, a spinning vortex of blood, death, destruction and loss. Outside the windows, every patch of ground is a reminder of the sacrifice and heartache. If you squinted your eyes, or better yet closed them completely, you could see it all. 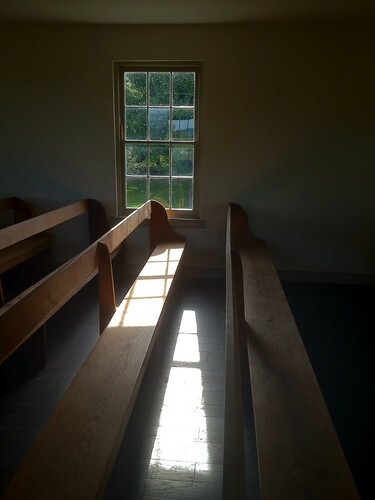 The Dunker Church (more accurately called the "Mumma Meetinghouse" or "German Baptist Brethren Meetinghouse) is a purely magical place, an amazing environment in which to weave tales of meaning for visitors. Those tales were ones of fear and trepidation, as pacifists confronted the awful prospect of war. Those tales were ones of hope and heartache, as Emancipation came within a hair's breadth of freeing the men and women enslaved on Sharpsburg's landscape, but not quite close enough in 1863. Those tales were ones of horror and shock, as Civil War photos became portals to the past and the present. I kept getting asked the question, over and over again, "aren't you tired?" But the opposite was true. Each interaction with a visitor refreshed me, uplifted me and brought light to my step. By Monday, I could barely hobble out of bed and slide into my green and grey uniform. But the pain was a good one, the aches were almost therapeutic. I had forgotten the joy of seeing someone have that moment of new appreciation for a place, whether that place be old friend or new acquaintance. 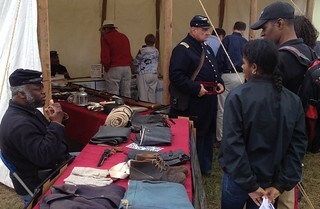 All told, I spoke to the majority of the people who visited Sharpsburg this weekend and wandered onto the battlefield. The location was prime, the crowd flow was intense, but the opportunities for meanings were limitless. 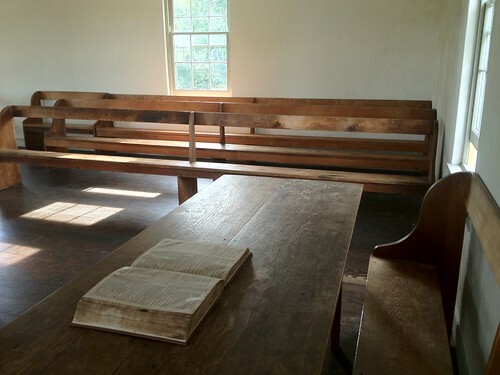 From the fight against slavery to the fight over secession, from smouldering Libya to the streets of New York, the Dunker Church became a time machine allowing all of us to view ourselves from wild perspectives and amazing heights. Tune in next week, same Bat-time, same Bat-channel and you might get a glimpse at some of the meanings I shared with visitors. Maryland, it turns out, was an amazing, violent, vibrant, frightening and befuddling place in 1862. It only takes a time machine to visit it. upon a nation and soak that same land in blood. If you are somewhere in the mid-Atlantic region over this next weekend, are obsessed with studying and understanding the Civil War and aren't going to be trying your damnedest to be in Sharpsburg, Maryland this weekend, you might want to check your pulse. I'll be there, as will many friends of the blog (including alum-author Jake, past guest blogger Vanessa Smiley and stellar interpreter Emmanuel Dabney from over at Interpretive Challenges), working to help visitors find deep meanings on the landscape. So, stop by the Dunker Chruch and wave hello to me. And find my compatriots all over the park, connecting the battlefield of yesterday to the world of today. Find out all the cool things happening this weekend over at the National Park Service's site. forward in the muggy July air.